Here is a tutorial on how to make Photomasks out of fonts - Please feel free to ask any questions! This is a GREAT tool and soooo much fun! Enjoy! 2- Choose the size of the font for your project. Remember that you will be adding a picture into each letter or group of letters so you want it to be pretty big. I am using 300 pxl. 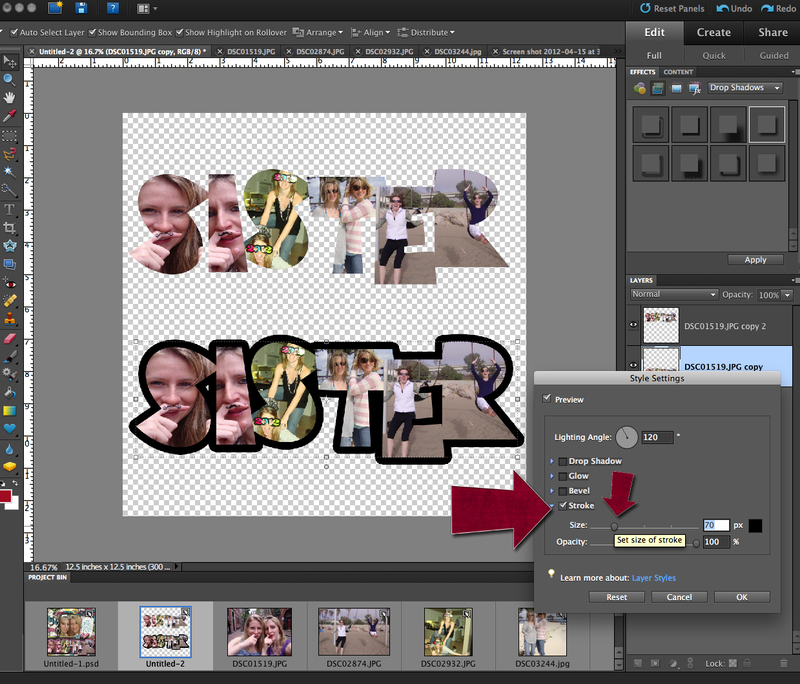 3- Create a separate layer for each letter you are going to add a picture to. 4 - Select each layer and move the letters into the pattern you want. 5- Choose which letters will contain which picture(s) for this tutorial I am going to use 4 pictures for my letters. Meaning 2 letters for some of the pictures. Select which letters will contain one picture and merge them together. 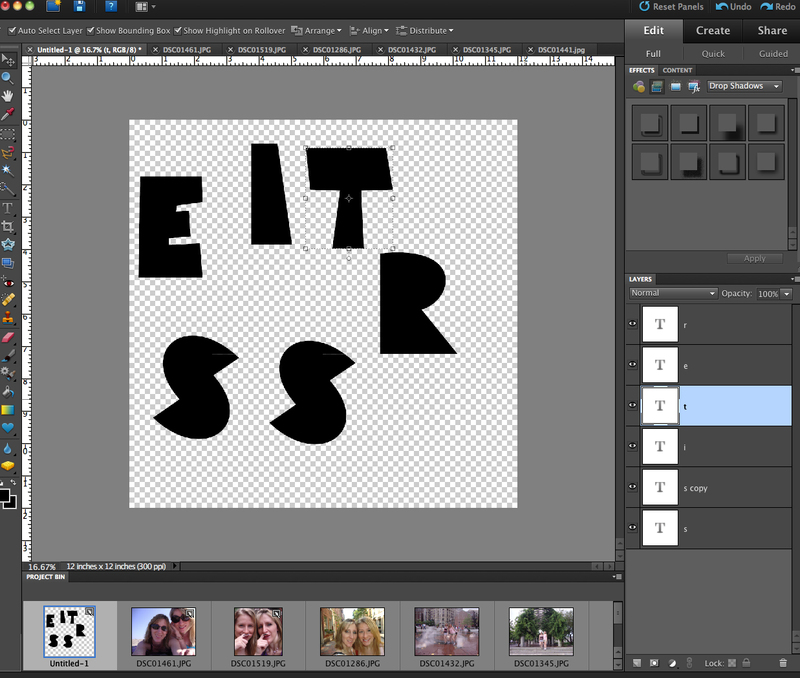 6- Select the photo(s) that you are going to use for the letters and drag them in a new layer OVER the letters you plan to form it to. Note: you may need to crop or resize them. 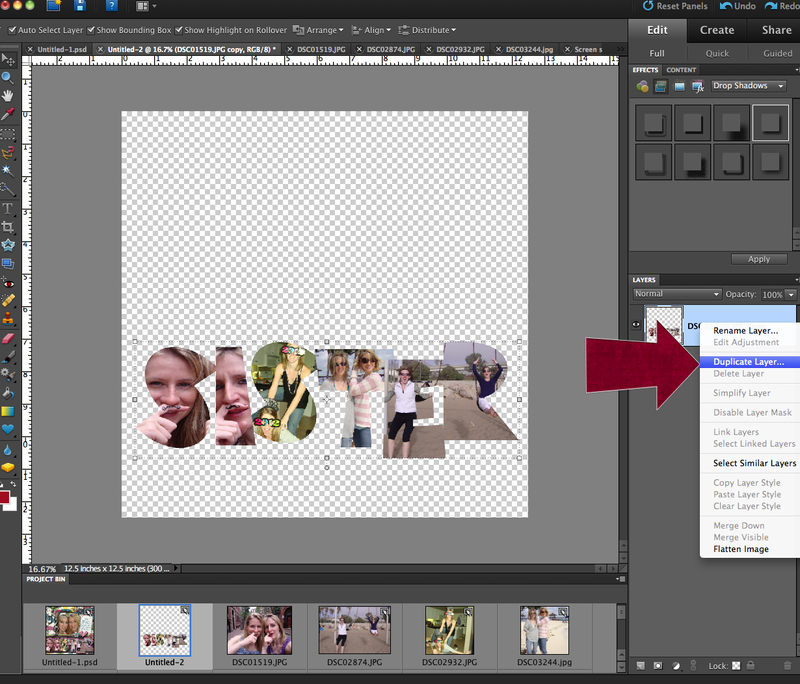 For this tutorial I am cropping all of my photos at 4x4 and 300 DPI. 7 - Control + G will group the two together making the picture into the shape of the letter(s). 8 - You can move the photo around inside the letters to get the desired look. 9 - Repeat steps 5-8 until all the letters are filled with photos. 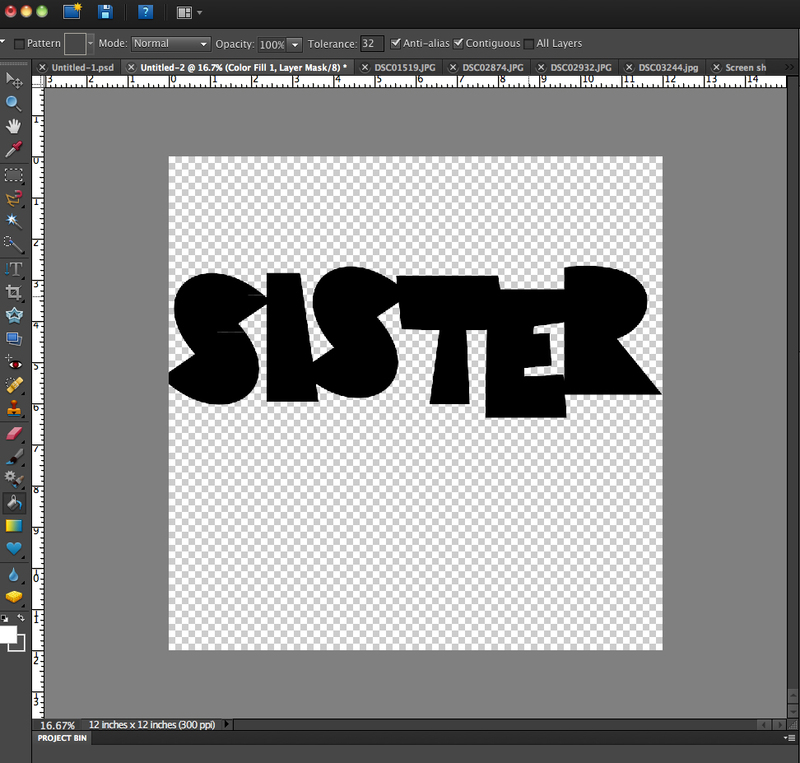 10- Once you are happy with the results you can merge all layers and use this as a title on any part of your page. This will keep it all together and easy to move. Select all layers in the layers pallet and right click "Merge layers" just as you did before with the individual letters we grouped for the pictures. NOW, we are going to take this one step further to create a boarder around like the page I made with this title. 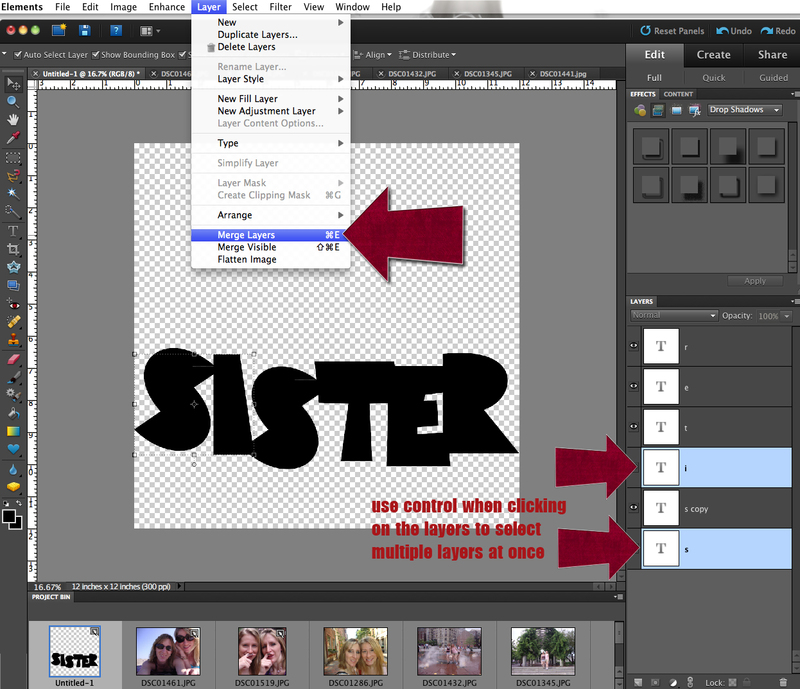 11 - Duplicate your layer so you have two on your page to work with. Select your layer and right click select duplicate layer. Now you have two identical titles. 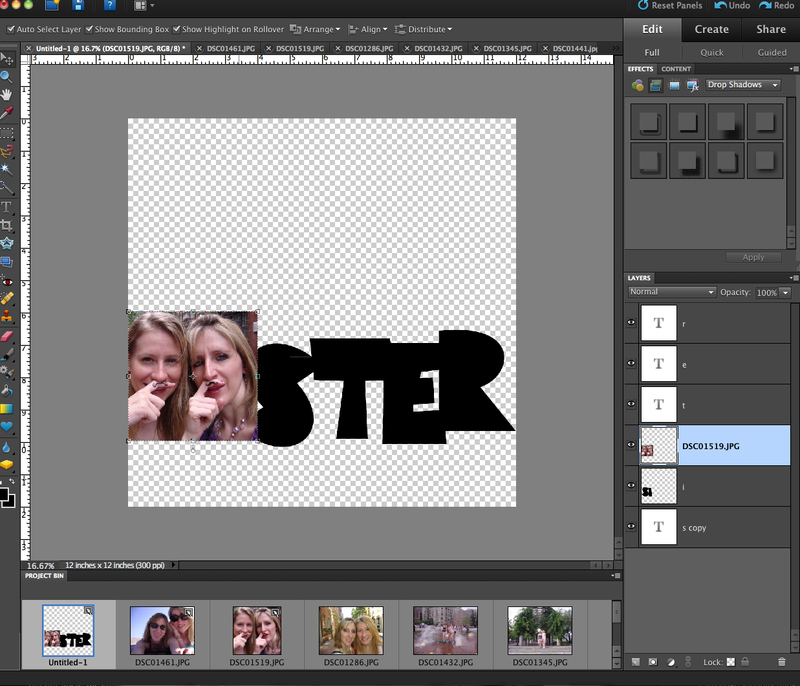 12- Select one layer and create a border. 13- Under layer styles check the "Stroke" box and adjust to how thick you want the outline to be. I used 70. Also click on the box on the right of the "size" option and pick what color you would like the outline to be. You can choose any color or drag your curser off the page to pick a color from your layout. 14. Now to fill the whole layer in fully with that color go to the "Layers" menu --> New Fill Layer --> Solid Color. And be sure to check the box that says "Use previous layer as a clipping mask." Select the color you want to use by using the eye dropper. 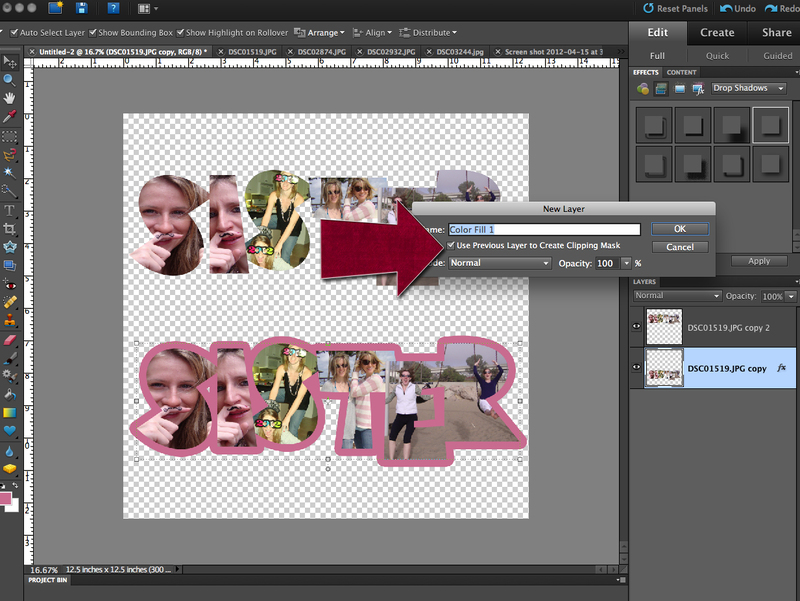 Once this step is complete, select both the masking layer (highlighted in the picture above) and the layer. 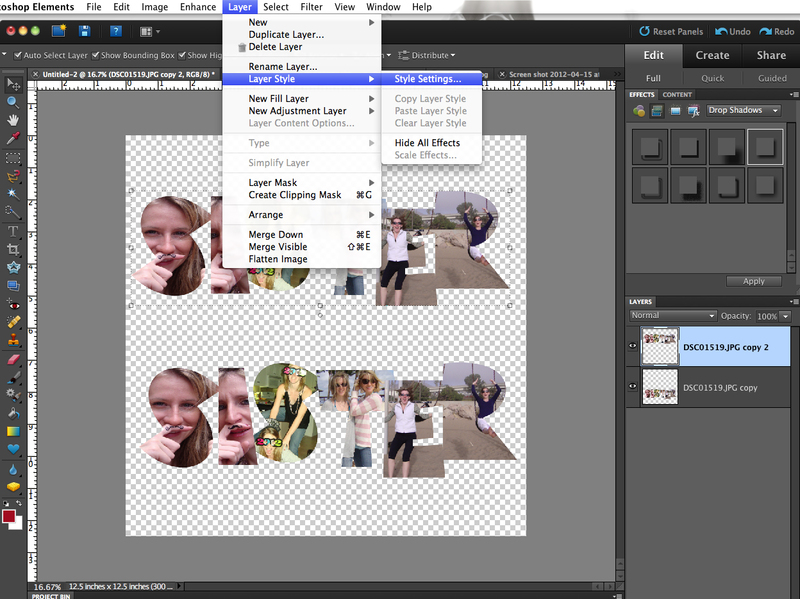 Right click and select "Merge Layers" This will make the image one easy layer to work with. 16. 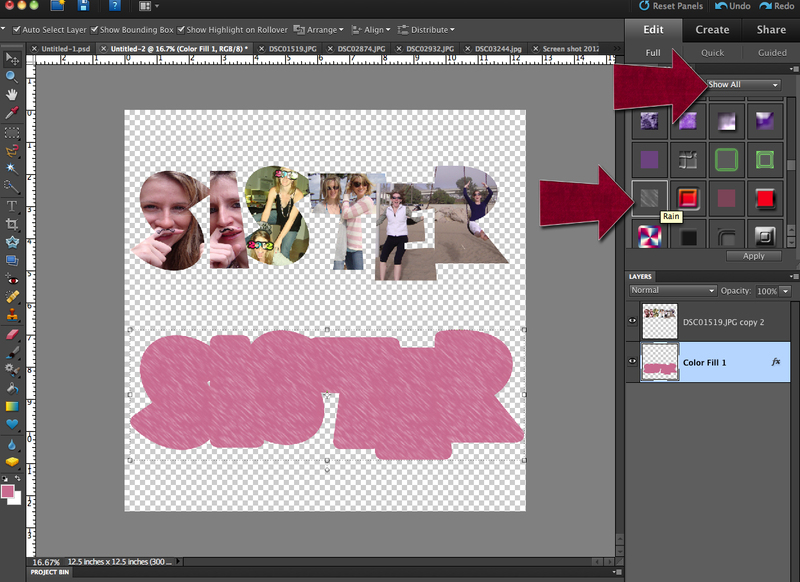 Once this is complete, drag the photo title ("SISTER") over the pink background and add a drop shadow from the "Effects" panel. Once you select the drop shadow you would like to use. Double click on the "fx" symbol on the layer and you can change the intensity of the shadow: depth, distance, color, etc.